Be sure to check out Pakistani band Noori this Wednesday, June 27 at 8:00 pm. The band makes a stop in Ann Arbor as part of Center Stage, an initiative of the U.S. Department of State. One of Pakistan’s top pop artists, Noori busts through local convention and international rock barriers with brainy songs and emotional beats. Led by charismatic brothers Ali Noor and Ali Hamza, Noori delivers a great show with a distinctive subcontinent kick. To celebrate the diverse community we serve, each year the Ann Arbor Summer Festival throws a series of Global Parties at Top of the Park that spotlight different ethnic backgrounds and cultural traditions. Featuring free outdoor performances by local and international artists, these nights showcase global grooves and international beats. Opening reception for photographer Jyoti Omi Chowdhury’s new exhibit, “Boots of Spanish Leather,” together with a reading by writer Frances Kai-Hwa Wang to celebrate her latest book “Imaginary Affairs—postcards from an imagined life.” Hors d’oeuvres will begin at 5pm, accompanied by live music. The National Townhall via Google Hangouts organized by APAforprogress, Vincent Chin 30: Standing Up Then and Now, was so cool to be a part of! Google unofficially says that we were the second largest Google Hangout ever, second only to President Obama's Google Hangout. Thanks to Keith Kamisugi for this nice mention in foundAsian.org. First mockup of Frances' book, "Imaginary Affairs--Postcards from an Imagined Life"
"Imaginary Affairs—postcards from an imagined life" by Frances Kai-Hwa Wang is a collection of prose poems and short short stories which wanders, dreamy and droll, across the landscapes of Ann Arbor, Berkeley, Kathmandu, Hawaii, and Asian America, wrestling with ache and desire, searching for the moment, but the moment is ever fragile. 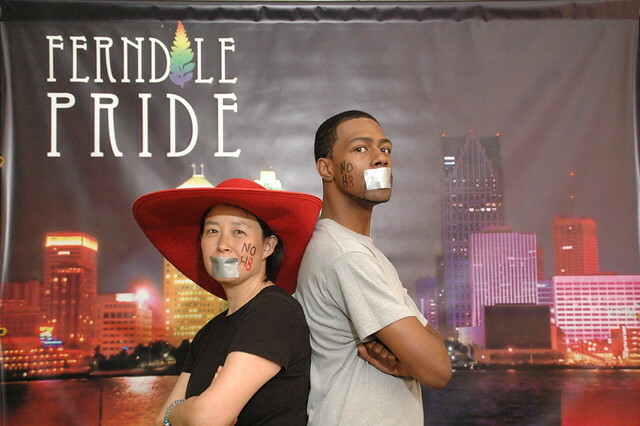 I will be speaking at Ferndale Pride's Light the Night Against Hate at the Vincent Chin Memorial Plaque at Woodward and Nine Mile, Ferndale, Michigan, Friday, June 15, 2012, 8:30 pm. I was told that Saturday's march (Dyke Hike) is going to be dedicated to the memory of Vincent Chin. 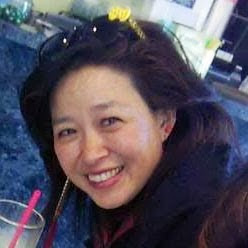 For more information about the Vincent Chin case and my postcard project, go to my other blog, RememberingVincentChin.com. Here is also an article I wrote last year for the 29th anniversary of the brutal baseball bat beating death of Vincent Chin for InCultureParent.com, "Crime without Punishment: Why the Death of Vincent Chin Resonates Today." Photograph: Frances Kai-Hwa Wang with Oakland County Commissioner Craig Covey at Ferndale Pride's Light the Night Against Hate, Ferndale, Michigan, June 15, 2012. I will be speaking at the Making Media Connections Conference with Stephen Franklin and Marissa Wasseluk on Thursday, June 14, 2012. About Blogging! And Trolls! Last week, 17-year-old Texan honors student Diane Tran was jailed 24 hours for truancy. She was taking several AP and dual high school college credit courses, and working two jobs as the family’s sole wage-earner after her parents divorced and moved away. She was often up until 7 am doing homework, and sometimes she had difficulty waking up and getting to school on time. Unfortunately, she crossed paths with a judge who admitted that he wanted to make an example of her. He put her in jail, and he gave her a $100 fine.